After the release of iOS in June , Apple has released a series of updates salient applications on the App Store. In general, they all add integration with the new OS. Particularly, add new functions of each app. Cards must know that now supports the iPad, and iPhoto adds support for iPod Touch 4th Generation. Then you have all the improvements of each application. • Improves compatibility with iPod touch (4th generation and later). • Add useful tips to help system iPhone and iPod touch. • includes six new effects designed by Apple ink, for example, chalk and palette knife. • Allows importing photos at full resolution through the function of iTunes file sharing. • Allows creation of albums tagged adding custom tags to photos. • The update notice in your library appears less frequently. • Save multiple pictures on the reel at a time. • The preset picture cropping function incorporates face detection to define the composition. • The effects of Tilt-shift and now include rotation gradient. • Now with Facebook sharing feature allows a single login settings. • Makes it easier to add comment to post photos to Facebook. • Includes function upload videos to Facebook. • Allows you to specify locations and tag friends by posting photos on Facebook. • When you share a group of photos on Facebook, you can add comments and photo by photo locations. • It is now easier to replace a photo posted on Facebook earlier by a new version. • Displays a notification when finished loading in the background of a picture in Facebook. • Allows sharing photos directly with Cards, iMovie and other compatible applications. • Daily feature now includes new options available. • Adds the ability to change the font and text alignment in the items in the newspapers. • Give new style and color options for items Note and Remembrance day. • Adjust the size of the items of note and remember in the newspapers. • Provides the ability to add separators to divide the pages of a newspaper into sections and improve the provision. • Includes items exchange mode, which facilitates the change of location of the items within the layout of a newspaper. • Provides the ability to place a marker on the map of a newspaper when no location data. • Allows sharing links to newspapers directly with Facebook and Twitter, as well as through messages. • Allows remote share links to newspapers although the newspaper was created on another device. • Incorporates a new button to post changes, which facilitates control over the daily update. • Incorporates the month and the year to move the view of photos. • Now you can organize photos by date and apply filters using new criteria. • The view of photos includes a new quick scroll to display the photos more effectively. • Allows the possibility of extending the grid of thumbnails that are split in several vertical rows. * 36.5 megapixel images are compatible with the iPhone 5 and the third-generation iPad. * Requires iOS 6 or later. ** Requires iPhone 4S, iPad 2 or later. • Keep their subscriptions automatically updated podcasts between devices via iCloud. • A new setting allows you to choose if new episodes are automatically downloaded only to have Wi-Fi. • A new setting allows you to choose if you play the episodes from oldest to most recent, or vice versa. 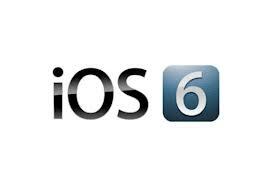 • In iOS 6, pulling a subscription updates to check for new episodes. • Other performance enhancements and stability. • Universal (iPhone and iPad) that provides native support for iPad. • Six new beautiful embossed printed cards for the holidays. • The new designs allow up to 3 photos on a single card. • Sending personalized cards to up to 12 recipients in a single order. • Ability to share images from iPhoto directly with Cards. • automatic sharpening filter that improves the print quality. • Improved display on iPad card history. • Improvements in the purchasing process. • A new view of a day that lets you view all the publications and tasks in a given day. • Solving a problem that prevented the emergence of closed captioning when available.